Cuisinart is a well-respected brand of quality cookware. A Cuisinart convection bread maker is a good addition to your kitchen as it can help you bake bread, cakes, and other tasty treats. You can also be assured that any bread machine from this brand is of good quality, reliable, and versatile. 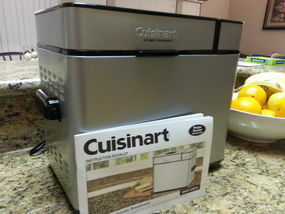 Cuisinart has two bread making appliances that use a convection fan. This enables hot air circulation within the baking chamber during a baking cycle. But why to get a bread maker with a convection fan, you might ask. 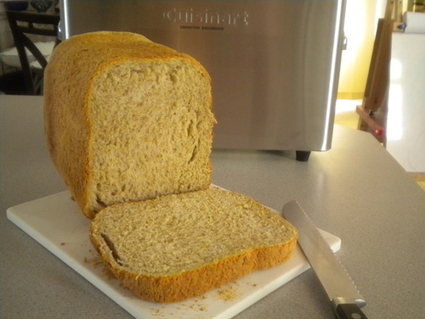 One good reason is that a convection bread maker can bake an evenly browned crust. Also, the bread tends to be crisp when baked in a convection bread maker. Gluten-free food is now widely popular around the world. 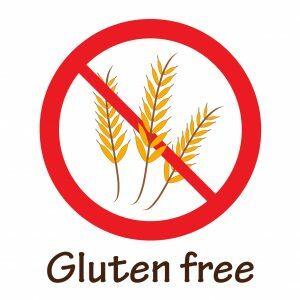 People who are sensitive to gluten follow a gluten-free diet so they can avoid experiencing symptoms like diarrhea, bloating, constipation, headaches, among others. And while those who suffer from celiac disease are no more than 1 percent of the population, others simply follow a gluten diet because they feel it is healthy. Gluten-free food is healthier too, so having a convection bread maker with a gluten-free feature will help you save in the long run. 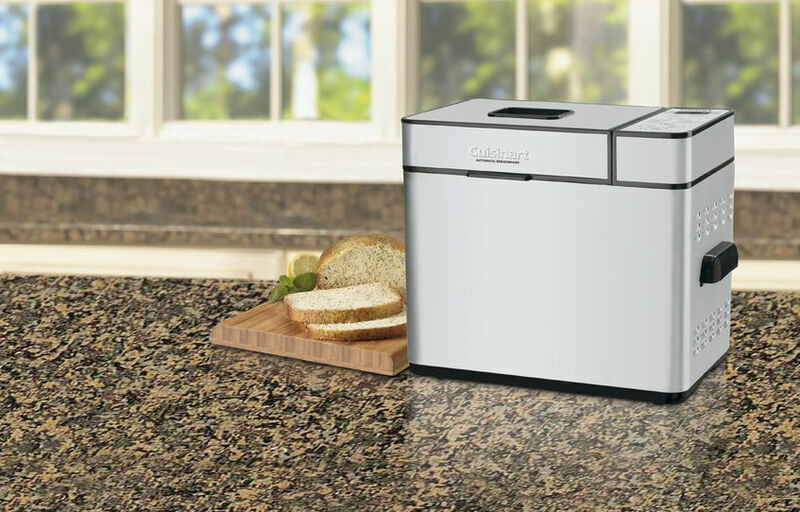 Cuisinart specializes in bread makers with the gluten-free setting; hence, you likely won’t hesitate in getting one. Another key feature of Cuisinart bread makers is their removable paddle. This prevents the loaf from coming out with a hole in its base. Like most contemporary bread machines, the bread making appliances from Cuisinart have a delay start timer. This is a feature that is very important for busy homemakers who don’t want to tightly guard the bread or dough they’re baking. With this feature, they can set the bread maker cycle to end after 13 hours so they can enjoy freshly baked bread in the morning or in the evening. 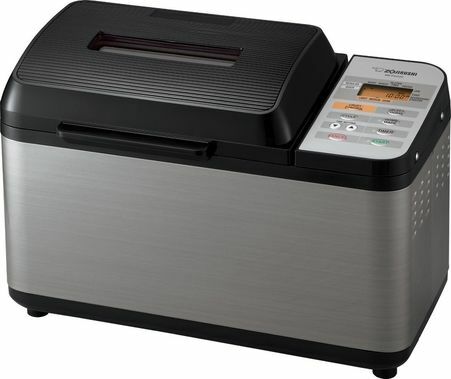 The CBK 100 is a good looking bread maker what with its classy silver finish. 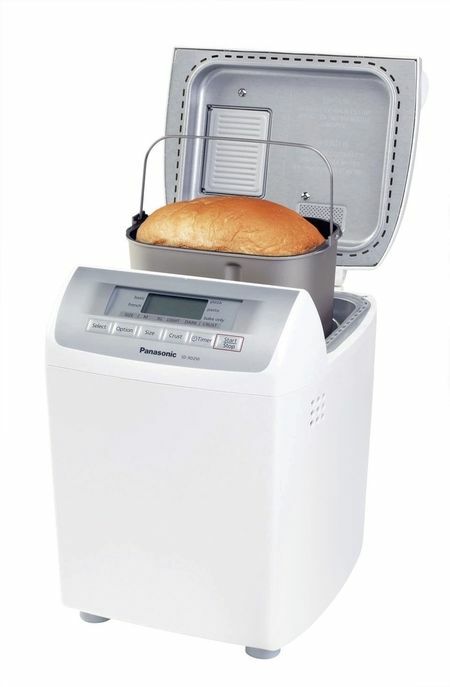 It looks like a high-end bread maker which can make it the center piece in any kitchen. But it can take up a lot of space so check first if you have enough room in that part of the house. 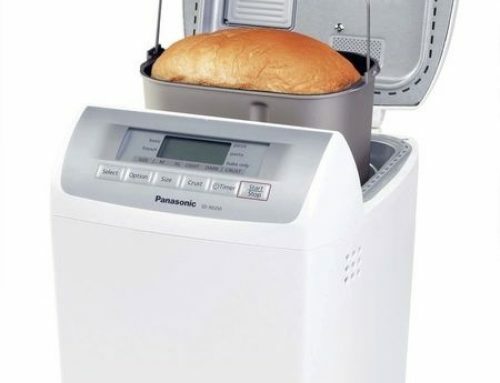 This contemporary looking bread machine that is versatile enough to produce bread loaves in the following sizes—1 pound, 1.5 pounds, and 2 pounds. 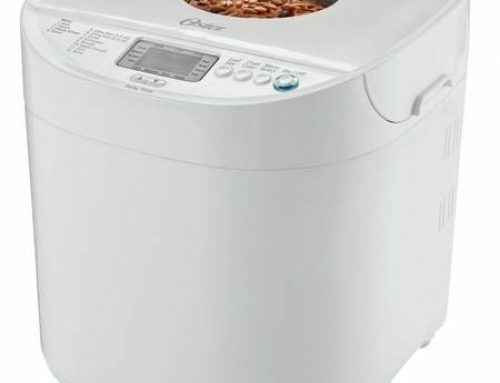 It has 12 pre-programmed settings including gluten-free, packet mix, and pasta dough. In terms of crust settings, you can choose from light, medium, and dark. You can have the cycle end after 13 hours with this unit. The fastest that the machine can complete a baking cycle is two hours. If you are the type of baker who wants to monitor the progress of the bread you’re baking, you can do so with the large viewing window of this unit. One of the best features of this machine is its notifications. Simply put, the CBK-100 will let you know when it is time to add ingredients like cheese, seeds nuts, and fruits. You’ll hear five short beeps that indicate it is time to add whatever ingredients you would like to be incorporated in your recipe. Once the kneading is done, the unit will beep again. This indicates that you can now remove the kneading blade so that there won’t be a hole in the bottom of your bread. It’s actually easy to use what with the instruction manual and recipe book helping you to figure out how to bake a bread and other tasty treats. To operate the machine, you need to set the volume first then choose a crust shade. You will then select the mode before pressing start. Once the cycle is done, the unit will beep 15 times to let you know that your food is waiting for you. In case you can’t remove the bread for whatever reason (for example, you’re on the phone), the unit will keep the bread warm for you for up to an hour. 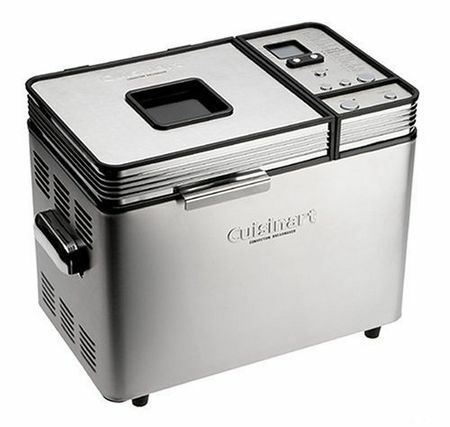 Just like the CBK 100, the CBK 200 has a convection fan that results in a crispier crust. The unit also makes beep signals to tell you that the kneading is done and that you can remove the loaf from the machine. 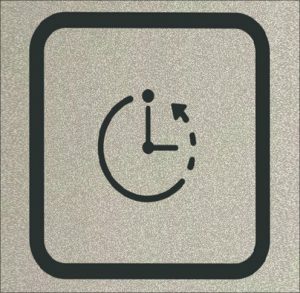 You can deactivate the signal by pressing the mix-in buttons once, then pressing the start button. The LED light will turn off, indicating that the beep signals have been canceled. The CBK-200 has this small LCD screen that lets you know information such as time remaining, crust color, and loaf size. It would have been a lot better had Cuisinart made it back-lit as reading the display on the LCD screen can be quite difficult. In operating this machine, you will start by selecting a number corresponding to the cycle you desire. There are different buttons for the loaf size, crust color, delay timer, and mix-ins options. When you choose the latter, you’ll hear several alert beeps later on. The beeps indicate that you can add other ingredients like raisins, carrots and nuts. The final two buttons are stop/pause and start. Simply put, the controls are very easy to use. The CBK-200 also has 16 cycles similar to its cousin. Although 16 menu programs are nice, what this unit lacks is the customized cycles. If you’re an experienced baker, you may miss the option to reprogram or tweak settings. But if you’re a neophyte bread machine maker, using the factory settings may not really bother you. It has a power failure backup function, which resumes the baking cycle once power is restored. 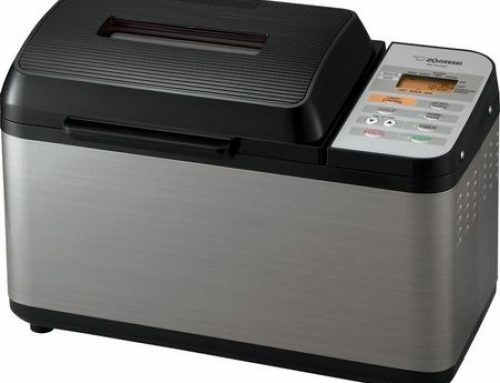 But unlike other bread machines, the back-up function of the CBK-200 is good for just 15 minutes. Thus, if the power interruption in your area lasts for longer, then you’ll have to restart the baking cycle again. A unique feature of the CBK-200 is the pan size, which can be described as a cross between horizontal and vertical. While Cuisinart may have intended it to give CBK-200 users the best of both worlds, so to speak, many customer testimonials indicate the hybrid size of the pan is actually counterproductive. They argue that with the weird size of the pan, they have to scrape some of the ingredients out of the corners to prevent the loaves form having floured corners. You can refer to the instructional manual on the times for the pre-heat, knead, rise, and bake. The unit, though, will make beeps to alert you when to add additional ingredients like nuts and when to remove the paddle. Speaking of the kneading paddle, there are three sets of six beeps that the unit will make to remind you that you have to remove the paddle. This occurs before the final cycle when mixing and kneading were done. To remove the paddle, press the pause button once. This will make the machine pause for 15 minutes. This also gives you enough time to open the lid, take out the pan, remove the dough and paddle, put the dough back and close the lid. You can then press the start button again so that the machine will continue with its baking cycle, or simply wait for the 15-minute period to lapse and the bread maker to resume. So how does the CBK 100 stack up against the CBK 200? In terms of appearance the CBK-100 and CBK-200 are virtually mirror images of each other. These bread machines are elegant in their own way. The CBK-100 has dimensions of 18x12x15 inches. On the other hand, the CBK-200 is slightly slimmer at 18 x 12.5 x 15 inches. As you can see, there’s very little difference between the two in terms of size. The minimalist design of the units also means that clean up of the units should be a breeze. To clean these units, use a damp cloth to clean the touch-pad control and the removal lid. Due to the minimalistic designs of the bread makers, you will find its lines to be very easy to clean. Moreover, its removable parts like pan, spoon, cup and paddle are all dishwasher-safe. The CBK-200, however, has a better delay start timer compared to its cousin. The CBK-200 has a single toggle button for this function. On the other hand, there are two flat buttons assigned in the CBK-100 for the delay timer. In terms of price, the CBK-200 is slightly more expensive than the CBK-100. Some budget-conscious shoppers may find the difference in price enough reason to opt for the CBK-100 instead of its cousin. Both CBK-200 and CBK-100 are covered by a three-year limited warranty from Cuisinart. The warranty covers materials and workmanship. In case the unit breaks within the warranty period, the maker will repair or replace it. However, you will be the one to pay for the shipping of the product. So… which is the better unit? It’s hard to point out which is the better model because the CBK-100 and CBK-200 are very similar. In terms of design, the two bread makers look a lot like each other. The units also basically have the same functions, although the CBK-200 has four more settings compared to the 100. One deal breaker may be the CBK-200 unable to handle a larger pan size, unlike the CBK-100. The hybrid pan size of the CBK-200 sounds interesting on paper, but many homemakers and bakers who have actually used the unit give the pan size a thumbs-down. 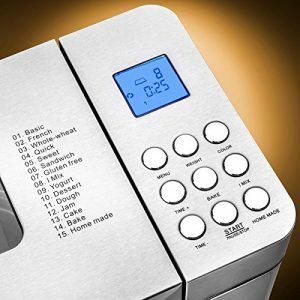 But the CBK-200 has 16 control settings compared to the 12 of the 100, and it can handle complicated loaves like artisan loaf which can justify the small price difference between the two units. 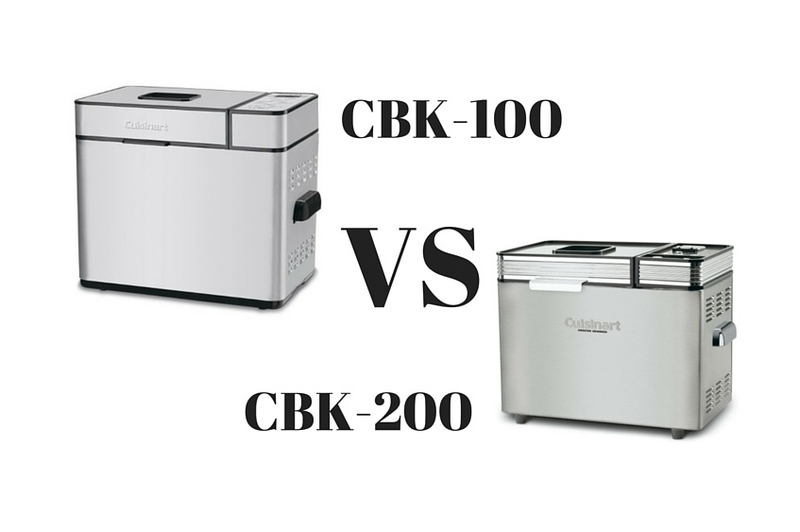 Overall, the CBK-100 and CBK-200 are great bread makers. It’s really up to you to determine which of these units fit your needs and budget. 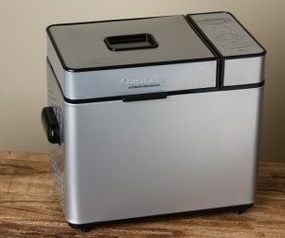 Cuisinart is one of the more reputable makers of cookware thus you should have no problem finding these bread making machines at retail chains, supermarkets, and appliance centers. Buying from a traditional retail store has its advantages, like getting a closer look at the unit that you are interested in buying. You can even ask for the sales personnel to teach you how to operate the unit just in case you’ve never operated a breadmaker once in your life. Buying online isn’t a bad choice, either. For one, you can check a lot of customer reviews to have a better idea on whether the bread maker suits your needs. You can even learn a few tricks on how to make the most out of the kitchen appliance. 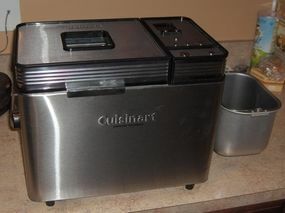 Amazon.com should be the first online store you visit if you are in the market for a Cuisinart bread maker. The website, after all, offers a lot of discounts to its buyers. Moreover, you can read many customer testimonials and reviews about the product that you are interested in getting. 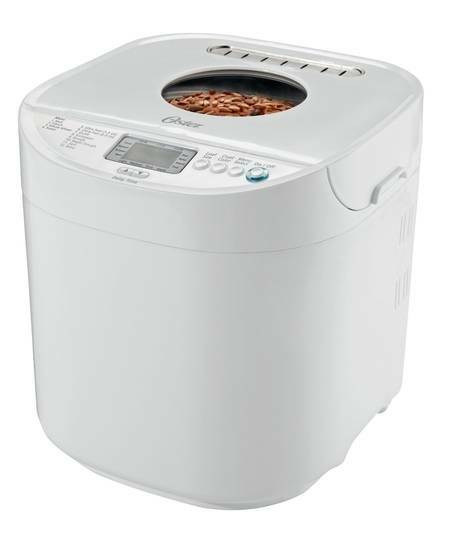 Whether you are buying a Cuisinart CBK 100 or the CBK 200, you will not regret getting a Cuisinart bread machine. You’ll eventually realize how reliable these products are as exemplified by the Cuisinart CBK 100 and CBK 200. And you’ll be on your way to baking bread and other tasty treats like a pro! 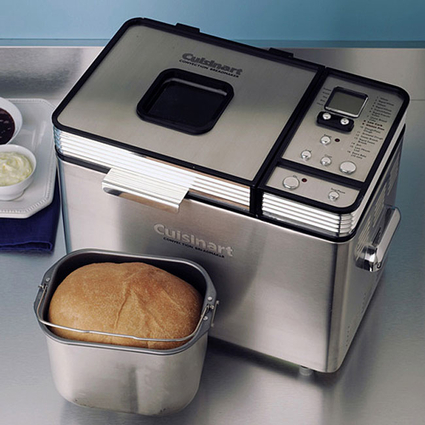 The Cuisinart is an extremely versatile and unique bread maker. Compared to the Zojirushi bread maker, it’s more affordable and able to bake tasty bread.